For Tier 1 and Tier 2 members who wish to vest their retirement benefit. Vesting refers to your right to receive plan benefits even if you terminate employment before you are eligible for payment of a Service Retirement Benefit. For Tier 1 and Tier 2 members (except Corrections and Sanitation) who wish to receive payment of their Vested Retirement Benefit. For Tier 2 members in Plan D who wish to have their Vested Retirement Benefit paid in the form of an Early Service Retirement Benefit. For Tier 1 and Tier 2 Uniformed Sanitation Force members who wish to file for a Deferred Vested Retirement. This form must be filed with NYCERS at least 30 days prior to discontinuance from City service. This form serves as both your notice of intent to vest, as well as for payment of a future Vested Retirement Benefit. For Tier 1 and Tier 2 Uniformed Correction Force members who wish to file for a Deferred Vested Retirement. 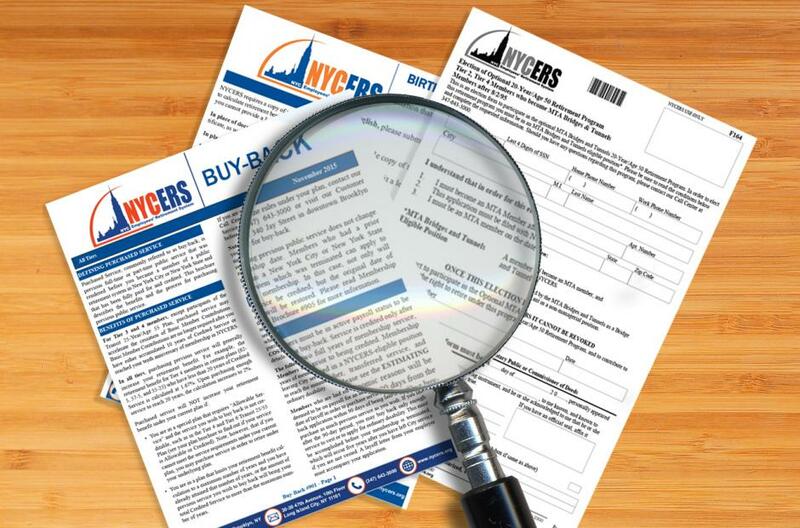 This form must be filed with NYCERS at least 30 days prior to discontinuance from City service. This form serves as both your notice of intent to vest, as well as for payment of a future Vested Retirement Benefit. This brochure provides detailed information about Vesting and Vested Retirement Benefit. Vesting is your right to receive a retirement benefit in the future if you have met the requirements of your plan even if you leave City service before you are eligible to retire.